The Stand Up Paddle(SUP) was born in Hawaii. It's a surf board where you stand on with a paddle, this allows you to enjoy surfing whether there are waves or not. People from all ages can enjoy this more and more famous marine sport. 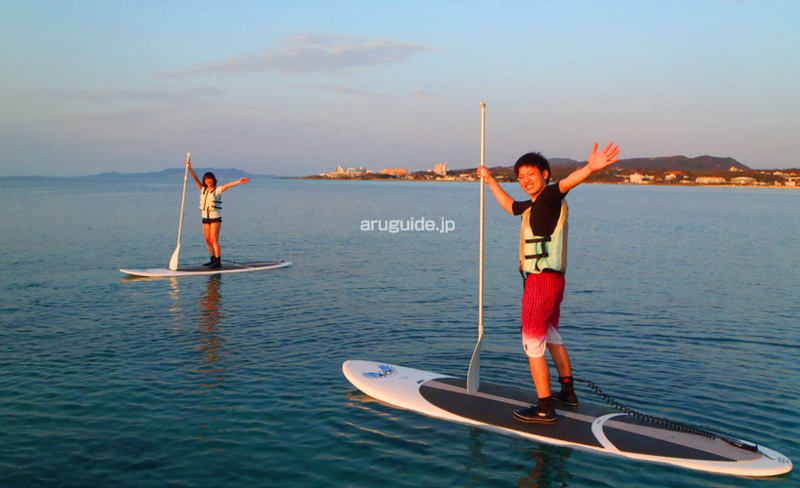 One of the advantage of the SUP is that it gives you a good excercise while trying to keep your balance.